This post is sponsored by Lunetta. All opinions are my own, always. 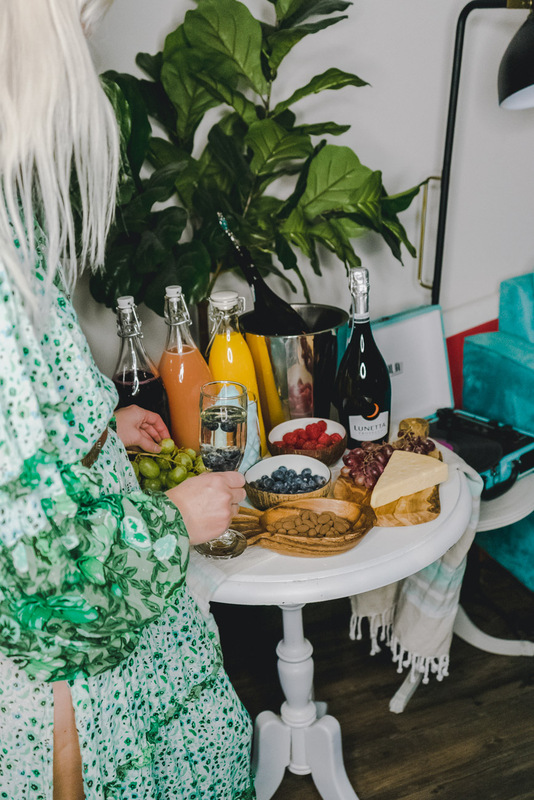 A cool way to add a fun twist to any get together is to have a mix your own alcohol bar! 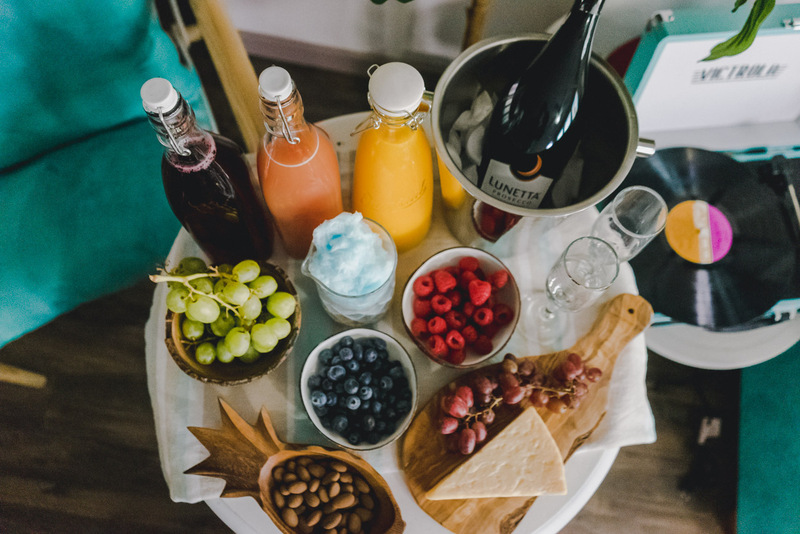 It’s a perfect drink display and way to get your friends and family excited. 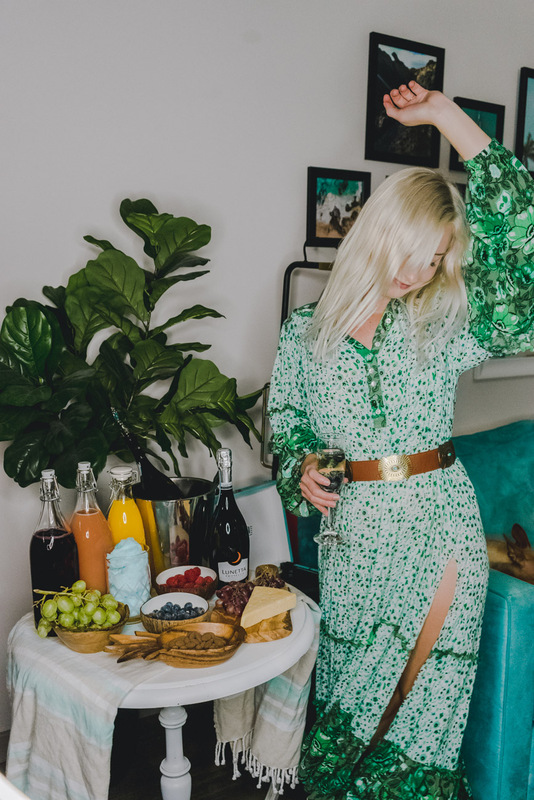 Everyone loves creating their own personalized drink. 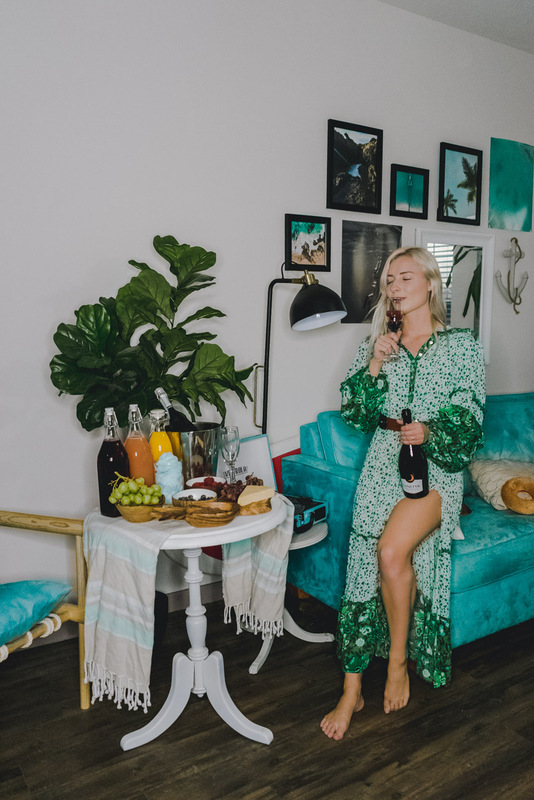 I personally love using prosecco because it pairs well with a ton of different things. You can have it on it’s own or mix it with juices, fruit, cotton candy, and more! 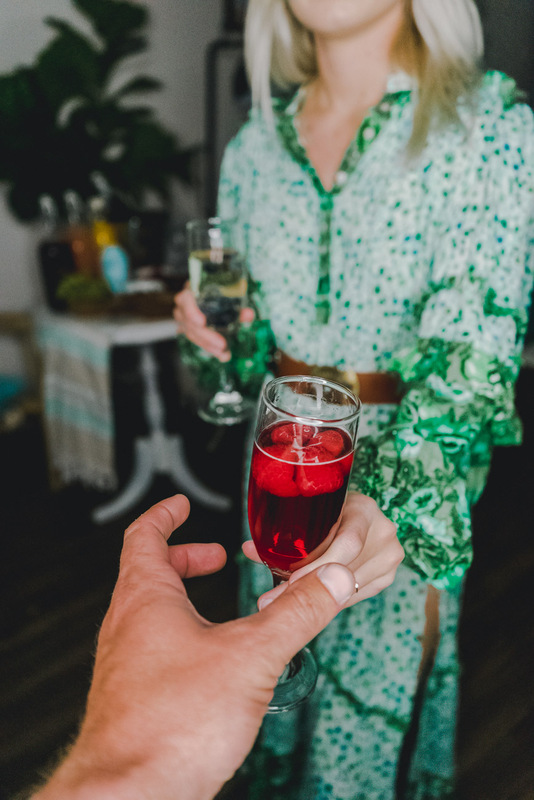 A prosecco bar is the perfect thing to have at parties, get togethers, or wine nights with your girlfriends. 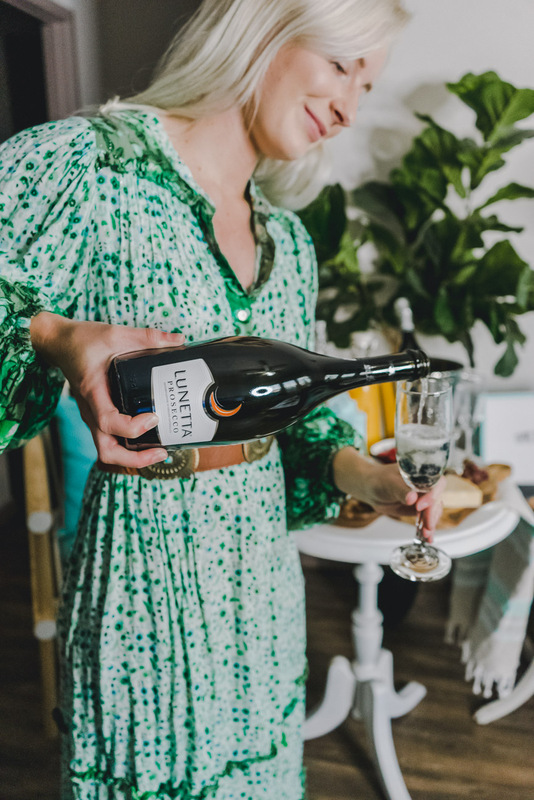 Lunetta makes a delicious prosecco and it’s easy on your wallet making it perfect for parties. It’s produced in northern Italy by Cavit, who are also winemakers of America’s #1 Italian Pinot Grigio and #1 Imported Pinot Noir. For my bar I had orange juice, grapefruit juice, cranberry juice, grapes, blueberries, raspberries, and cotton candy. For munchies I had some chocolate covered almonds and parmesan cheese, both of which pair great with prosecco. It’s also important to have the right glasses to drink from to really get the best taste of your prosecco. Flute glasses are what is commonly used and I got mine from the dollar store. Although wine usually tastes the best out of higher end glasses, if your on a budget or stocking up for a party then dollar store glasses work just fine. 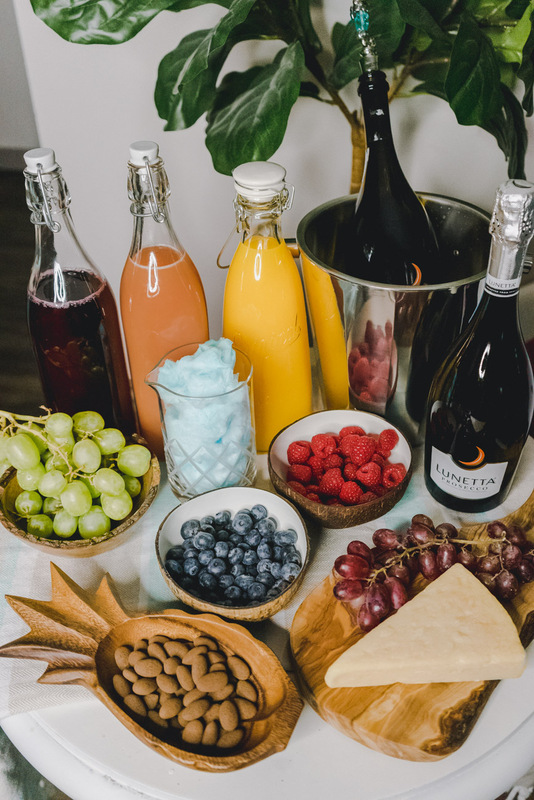 The best way to make your prosecco bar look amazing is to put juices in matching glasses and use pretty bowls and cutting boards. 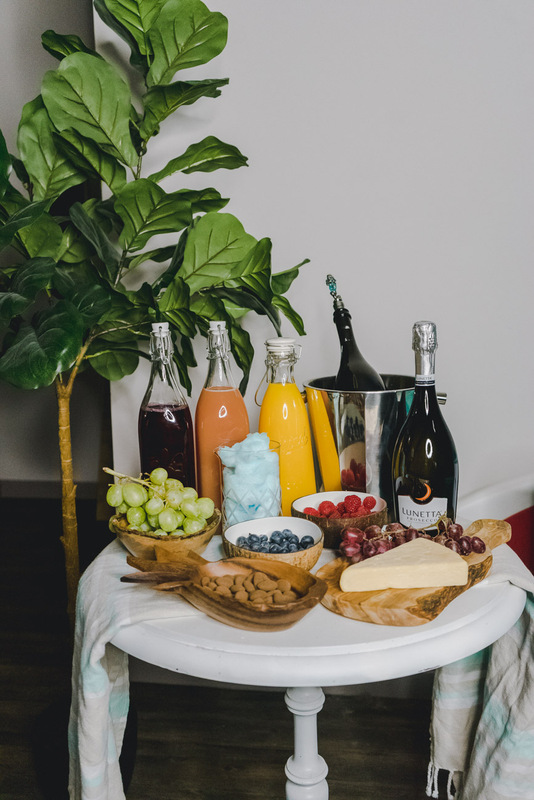 The supplies really make all the difference and will be what sets your prosecco bar apart. For a bar, you can use any kind of table. I used a side table from my living room and placed a table runner on it. 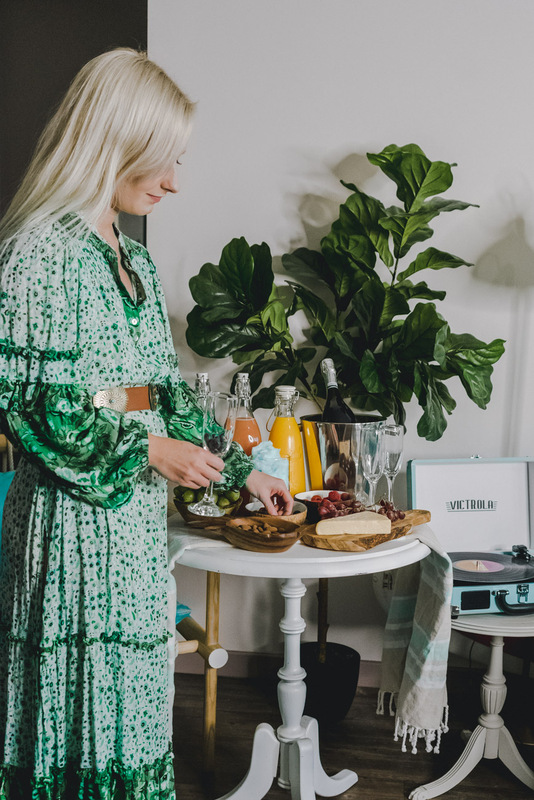 You can use a bar cart, dining table, or just your kitchen counters. 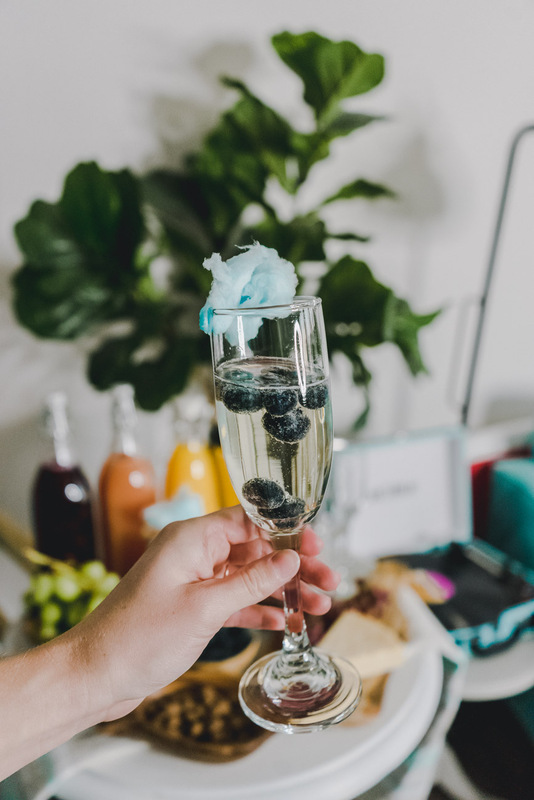 What would you include in your prosecco bar?